This could be a big deal. Australia is challenging before the International Court Of Justice Japan’s claim that it’s Antarctic whaling program is scientific research (which is what makes it technically legal). The sheer scale and repetition speak of an operation commercial in nature and defeats the objects and purposes of the 1946 convention. Furthermore he highlights the fact of continuity: Japan continues to carry on the commercial operation it previously embarked upon with similar boats, similar crews and techniques and provides the same supply of whale products to the market. 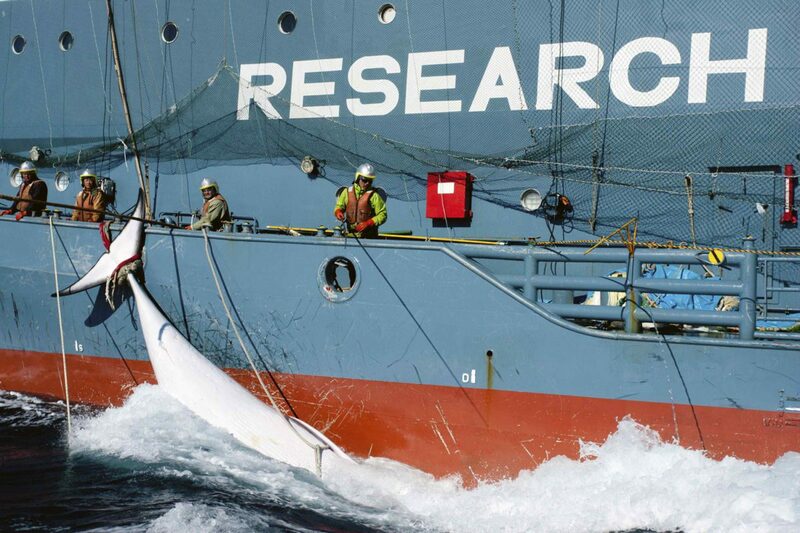 Also, Japan didn’t seem to have a great need for lethal research prior to the moratorium on commercial whaling from 1986 and no other nation before or since has found the need for scientific research on this scale. Mr. Gleeson furthermore highlights that even though the demand for meat in Japan is falling the political goal remains to maintain a whaling industry through production of products for sale and such sales are used to fund the ongoing operations. “To service a market is evidence for commerce”, he concludes. Also, lethal research methods should always be a matter of last resort, not a first option as Japan holds it. Bears watching, for sure. An ICJ ruling, even if Japan ignored it, would further isolate Japan over its whaling. I would dearly love to know the legal ramifications if Japan is ruled against at the ICJ yet still fronted up in the Southern Ocean next November/December. As an Australian I am on tenterhooks waiting to see what will happen. Tough case to win seeing Japan always seems to come out smelling of roses, or in this case, whale meat.